Eyewitness accounts telling stories of Irish migration to Canada during the Great Hunger are being made available in an online archive curated by National University of Ireland, Galway (NUIG). 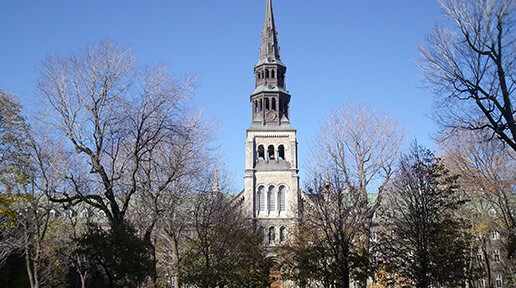 The Digital Irish Famine Archive shares the tales of the Grey Nuns in Montreal who cared for the Irish arrivals, their sick and dying, and kept annals and correspondence of their experience. The records have since been translated from the original French, digitized and made available in an online archive. 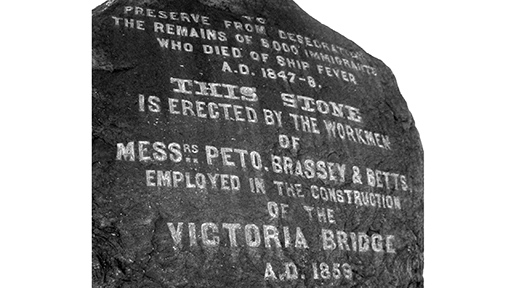 At the height of the famine in 1847 and 1848, thousands of Irish left Ireland and immigrated to Canada. Upon arrival in Canada, however, the suffering of the famine Irish continued, as they remained among the poorest of the poor and many were stricken with typhus fever following the long voyage. In acts of extreme kindness, a number of people in the English and French Canadian communities came to their aid and provided shelter and support for the ailing and dying. 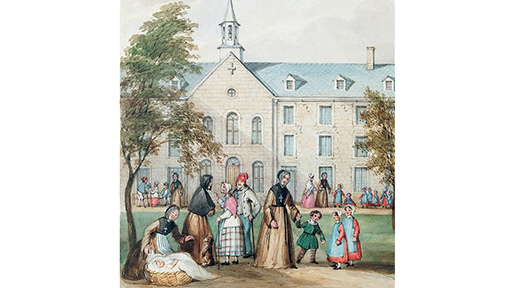 Leading the charge in helping the Montreal Irish were the Sisters of Charity, also known as the Grey Nuns. The Nuns not only looked after the sick but also adopted and cared for many of the orphaned Irish who lost their parents to sickness once in Canada. Launched by the Canadian Ambassador to Ireland, Kevin Vickers, the new archive contains three sets of annals from the Grey Nuns: “Ancien Journal (Old Journal), Volume I” and “Le Typhus d’1847, Ancien Journal (The Typhus of 1847, Old Journal), Volume II” which are all translated to English, as well as the transcribed first-hand accounts of the nuns in French in “Récit de l’épidemie” (Tale of the epidemic). The archive will also feature testimonies from several of the orphaned children the nuns looked after, such as Daniel and Catherine Tighe from Roscommon and Robert Walsh from Kilkenny. Speaking at the launch of the archive, Ambassador Vickers said: “It gives me great pleasure to launch the Digital Irish Famine Archive. The archive commemorates and pays tribute to the Grey Nuns of Montreal and people of French and English Canada, like Bishop Michael Power in Toronto and Dr John Vondy in Chatham, who gave their lives caring for Irish immigrants during the Famine exodus of 1847. Irish President Michael D. Higgins is also a patron of the archive. He said: “During that bleak and terrible period of our history, an estimated 100,000 Irish people fled to Canada. It is impossible to imagine the pain, fear, despair and suffering of these emigrants, many of whom lost beloved family members on their journey. 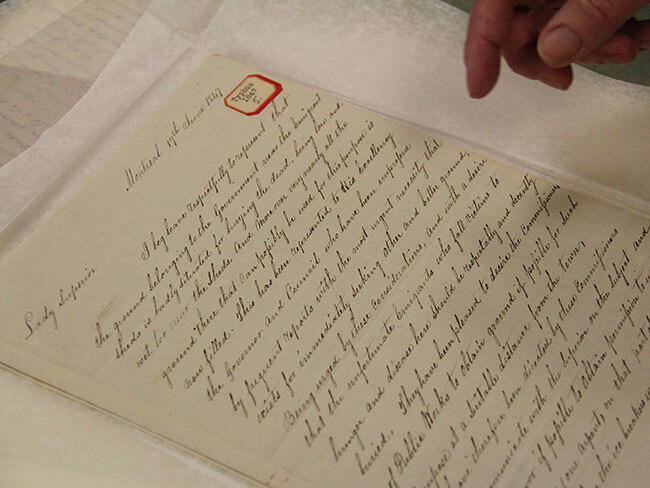 The new archive is a tribute to the work carried out by the Grey Nuns in helping the Irish in Canada. “As a country we owe an enormous debt of gratitude to the Grey Nuns,” continued President Higgins, “who cared for so many Irish widows and orphans who were left destitute, impoverished and alone in a strange country.